Undocumented plot marker styles can easily be accesses using a hidden plot-line property. Matlab contains a variety of ways to define/display slider controls in GUI windows. We can use a built-in Matlab popup-panel widget control to display lightweight popups that are attached to a figure window. Matlab’s sendmail only sends simple text messages by default; a simple hack can cause it to send HTML-formatted messages. A file-selector dialog window that includes an integrated preview panel is shown and explained. An interactive search-box can easily be added to a Matlab figure toolbar for enhanced user experience. Non-standard shortcut controls and customizations can easily be added to the Matlab desktop. 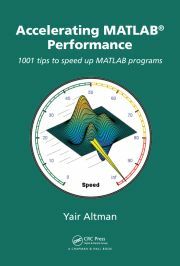 Matlab Desktop shortcuts can be programmatically accessed and customized. Several built-in components enable programmatic font selection in Matlab GUI – this article explains how. Arash Marashian (12 days 18 hours ago): Problem Solved. I found out that my version does not have this icon. thanks. Marshall (13 days 21 hours ago): This was a fun puzzle–don’t hesitate to add more posts like these if you come across some other fun ones! Reza (14 days 3 hours ago): I have the same problem. this Java widget got error in compiling via Matlab 2018! Could you please show me how to solve this? GGa (15 days 21 hours ago): There isn’t anything “outside the UTF-8 range”. UTF-8 can represent any Unicode character, as far as I know.